Linus Torvalds, who created the Linux operating system that secretly runs the internet, says he detests social media including Twitter, Facebook, Instagram. In a recent interview he called these social media sites "a disease." That’s strong condemnation from a guy who is well known for jerk-like behavior on public email lists. It shows just how little respect social media gets these days. Linus Torvalds, the creator of the Linux operating system that secretly runs the internet and is the basis for Android, was recently asked what he would change about the tech world that his technology helped create, if he could. "I absolutely detest modern "social media"—Twitter, Facebook, Instagram. It’s a disease. It seems to encourage bad behavior," Torvalds told the Linux Journal’s Robert Young. This is an interesting criticism from a man who has often been accused of being uncivil to other programmers on Linux email lists. 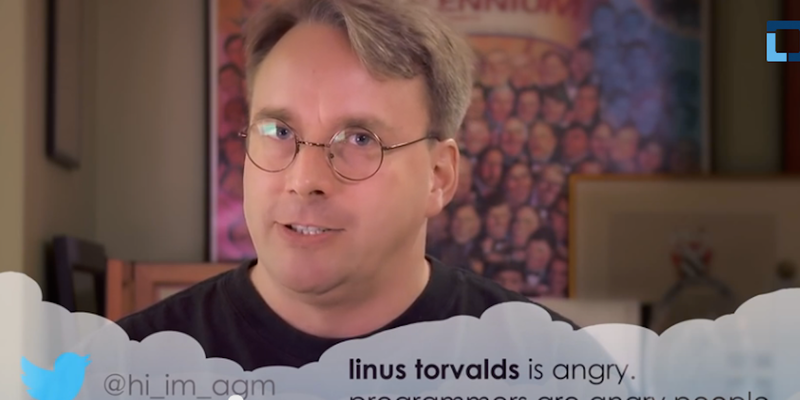 Torvalds is known as a brilliant, funny, speaks-his-mind kind of guy who is generally fair minded but doesn’t tolerate fools. That personality means he’s publicly dressed down people whose work, or motivations, fell short of his standards. Years ago, he defended his behavior when a developer from chipmaker Intel publicly called him out for it and told him to knock it off because it was not only unprofessional, but was driving away newbies and others who wanted to contribute to Linux. He shrugged off the criticism by responding, "People are different. I’m not polite, and I get upset easily but generally don’t hold a grudge – I have these explosive emails." Since then the open source world has started to confront how much bad behavior goes on its world with various communities and has adopted codes of conduct. In 2018, the main Linux community adopted a CoC, too. And along with that, Torvalds finally admitted that his behavior needed changing. He took time off to "get some assistance on how to understand people’s emotions and respond appropriately," he said. So Torvalds calling out social media for encouraging bad behavior is ironic, to say the least. To be fair, though, as one of the most famous programmers in the world, he’s been the target of his fair share of online abuse, too. In 2015, he made a cheesy, funny video where he read aloud nasty tweets about himself. "If you cannot prove your identity, your crazy rant on some social-media platform shouldn’t be visible"
"It’s easy to miss humor and sarcasm, but it’s also very easy to overlook the reaction of the recipient, so you get things like flame wars, etc., that might not happen as easily with face-to-face interaction," he said. Torvalds said the same issues can crop up with email, too, but he believes email is more necessary and often communicating real information. Not so with social media. "The whole ‘liking’ and ‘sharing’ model is just garbage. There is no effort and no quality control. In fact, it’s all geared to the reverse of quality control, with lowest common denominator targets, and click-bait, and things designed to generate an emotional response, often one of moral outrage," he said. On top of all that, when you add in anonymity, "it’s just disgusting," he said. "Some people confuse privacy and anonymity and think they go hand in hand, and that protecting privacy means that you need to protect anonymity. I think that’s wrong. Anonymity is important if you’re a whistle-blower, but if you cannot prove your identity, your crazy rant on some social-media platform shouldn’t be visible, and you shouldn’t be able to share it or like it," he said. Consequently, Torvalds is not on any social media today although he briefly used Google+ for a while, feeling like Google’s unsuccessful attempt at social media was "less mindless" than the others. (Google announced it was shutting down Google+ in December and began deleting accounts on Tuesday). Torvalds didn’t get into whether or not governments should step in and start regulating internet companies, perhaps making them more responsible for the content they promote (if not host). Still, having Torvalds give the social media world a "thumbs down" isn’t a good sign for internet companies trying to convince the world that they are the good guys.